FiberTite® Roofing Systems by Seaman Corporation offer quality, longevity and best overall value to global leader ThyssenKrupp. 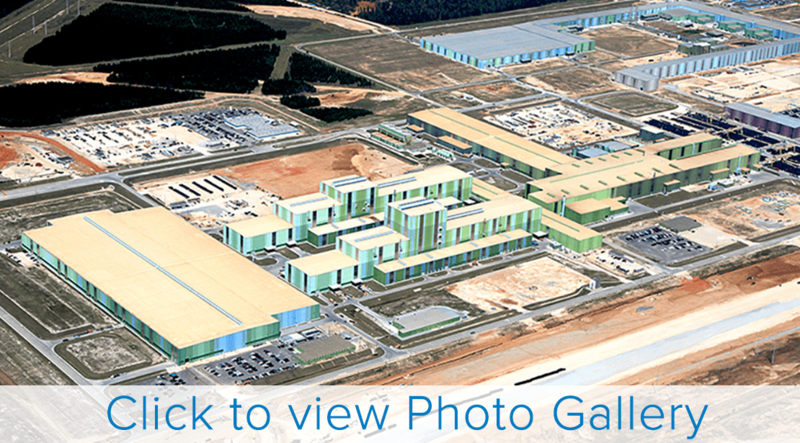 At a time when the impact of the nation’s shrinking manufacturing base is palpable, ThyssenKrupp, one of the world’s largest steel manufacturers with headquarters in Germany, is building a new world-class steel and stainless steel processing facility in Alabama. The $4.2 billion building project is reportedly the largest single private industrial investment in the U.S. ever, and one that will culminate in 2,700 new jobs. Two point eight million square feet of FiberTite roofing membrane, by Seaman Corporation, will protect seven carbon steel processing facilities at this site, making this job a record setter also for Seaman Corporation. It is the largest roofing project ever in the FiberTite product’s 30-year history. According to Team Roofing, the roofing contractor on the job, it is also the first time ThyssenKrupp, a company that employees 200,000 people and has operations in 70 countries worldwide, has ever chosen a thermoplastic single ply roofing system to protect its facilities. ThyssenKrupp‘s Alabama project is part of a global strategy to expand its steel business into the NAFTA region. In November of 2007, the company broke ground to begin moving the 12.5 million cubic yards of earth that were required to prepare the 3,500-acre site for the Alabama mill. Situated just north of Mobile along the Tombigbee River, the location is ideal for transporting goods, including slabs that will come from a new ThyssenKrupp steel making facility under construction in Brazil. The Alabama facility will include a hot strip mill, cold rolling mill, and hot dip galvanizing mill with state of the art equipment to process these slabs. Construction of both a river terminal and a port terminal on Mobile Bay to service the facility are underway. Clearly, ThyssenKrupp intends to stick around. Details of the construction specifications further confirm this fact. Released with European standards, the specifications called for the highest quality performance at every level of the job. Of particular importance to a project of this magnitude, is the product protecting the roof. The original specification called for a modified bitumen system. “ThyssenKrupp is very familiar with modified systems and has used them on several prior installations,” reported Michael Miller, national sales manager for Team Roofing. A compressed construction schedule and a changing economy, however, prompted ThyssenKrupp to reconsider their options. With value and long-term performance their highest priorities, an extensive search led them to FiberTite.